Hi everyone! It's Candace from Candi O. Designs ~ Guest Designer! 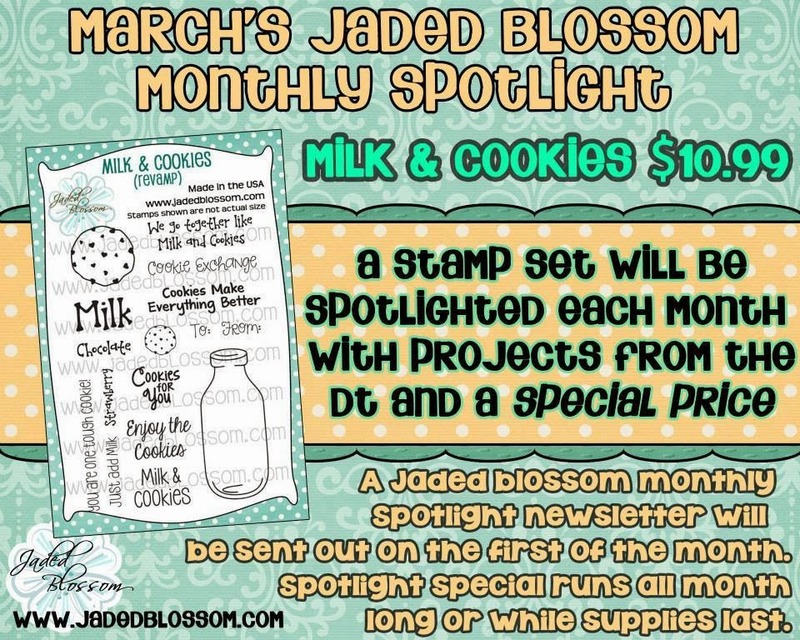 It's my day over at Jaded Blossom and I am sharing a project I made using the Monthly Spotlight stamp set, Milk & Cookies Revamp. This is such a fun stamp set! There are so many possibilities with it! 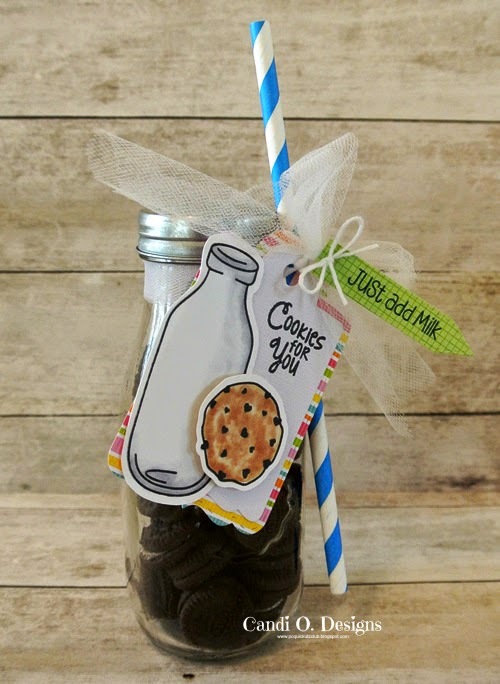 I found these cute glass milk jars which were perfect to add a tag and decorate with this set! 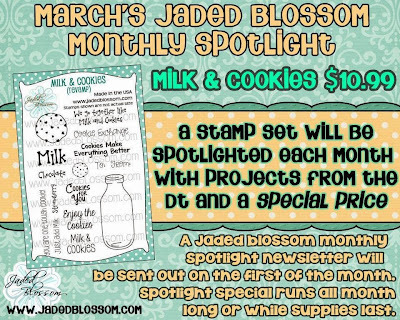 I used the Treat Tag Die for the base, then stamped the milk bottle and large cookie die on the SVG Outline that matches this set. 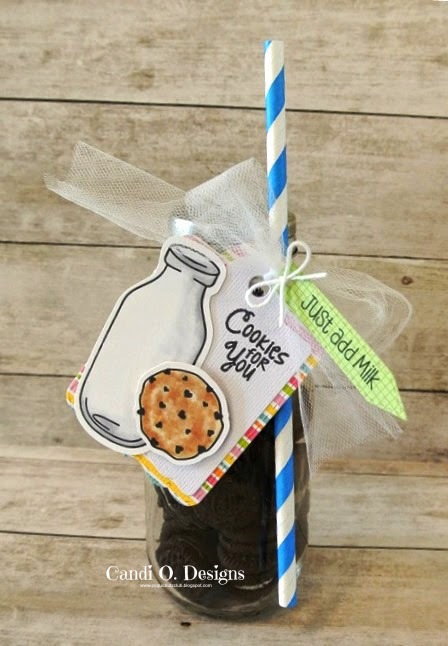 The sentiment I stamped right on the tag and then glued the milk bottle and pop dotted the cookie. I tied the tag with tulle onto the "cookie filled jar" and then added another tag with twine from Mini Tag Dies 2 which I stamped with another sentiment from this set. Lastly I inserted a paper straw through the tulle to finish the look!! 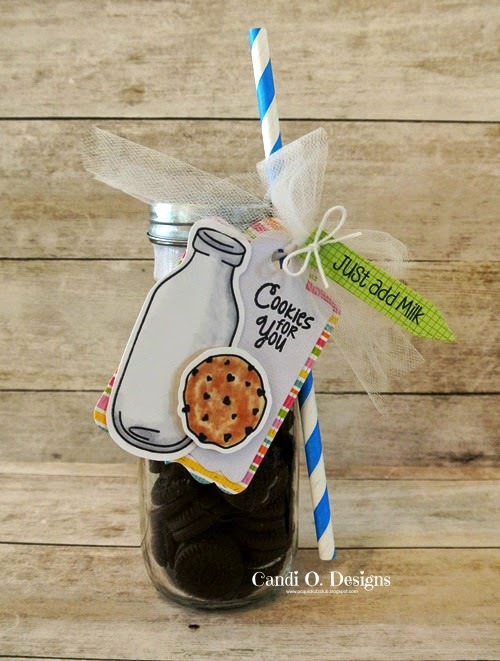 Perfect little gift for that cookie lover in your life! This is such a CUTE treat Candi! I love the sweet tag and fun straw!!! You guys are always coming up with the funnest of idea's! I loVe your yummy treat bottle and tag. Very cute. Thanks for sharing.